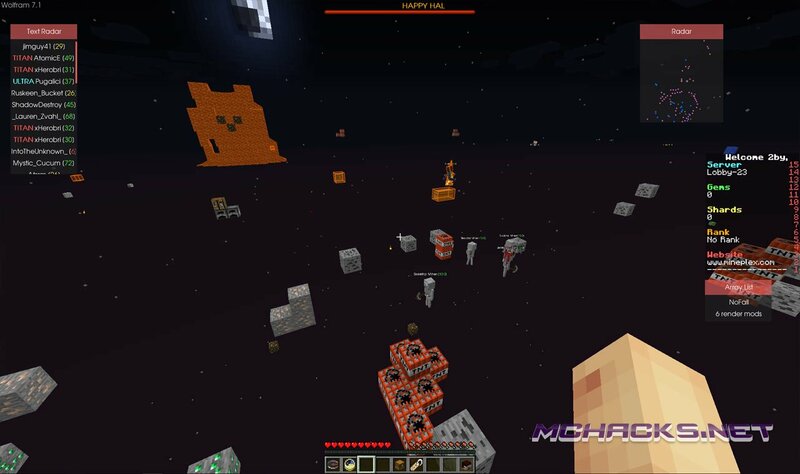 Wolfram has been updated to the new release of Minecraft, version 1.11. There are no other changes to this version of Wolfram. You can download the client free from below. 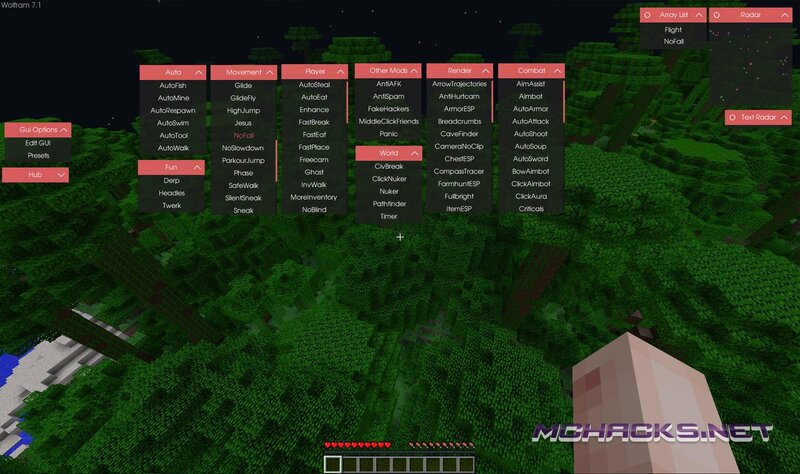 Wolfram Client has lots of features including, but not limited to: wallhack, xray, no fall, fullbright, flight/fly, click aimbot, auto soup, ESP hacks, bunnyhop, high jump and many more mods!